Larry is an atheist in a family of orthodox Memphis Jews. When his father dies, it is his responsibility as the surviving son to recite the Kaddish, the Jewish prayer for the dead, every day for eleven months. To the horror and dismay of his mother and sisters, Larry refuses—thus imperiling the fate of his father's soul. To appease them, and in penance for failing to mourn his father correctly, he hatches an ingenious if cynical plan, hiring a stranger through a website called kaddish.com to recite the daily prayer and shepherd his father's soul safely to rest. 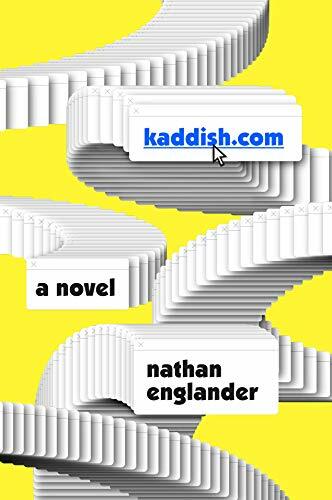 This is Nathan Englander's freshest and funniest work to date—a satire that touches, lightly and with unforgettable humor, on the conflict between religious and secular worlds, and the hypocrisies that run through both. A novel about atonement; about spiritual redemption; and about the soul-sickening temptations of the internet, which, like God, is everywhere.